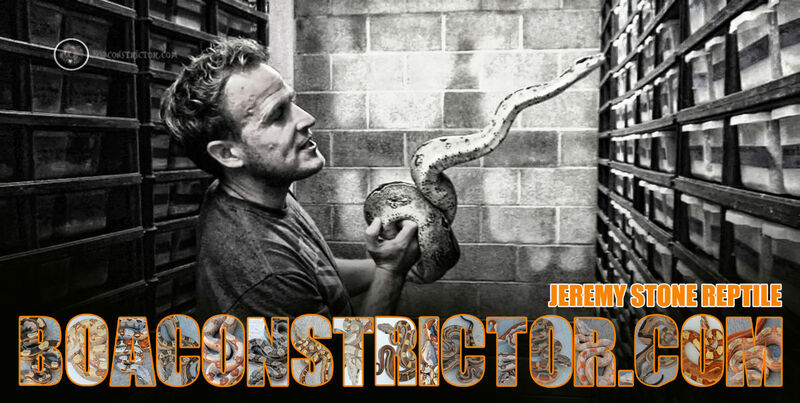 Jeremy Stone Reptiles has been a registered business since 1997. I have worked very hard at maintaining and studying Reptiles all my life. The Boa Constrictor has always been my favorite animal, and I strive to maintain one of the best Boa Collections in the world. Every year we are working on improving bloodlines, health and quality, of the animals I work with. I have seen many different ways of approaching care, and in 2005 we completed a separate facility for the animals we keep. We pay attention to the details of the animals we sell. 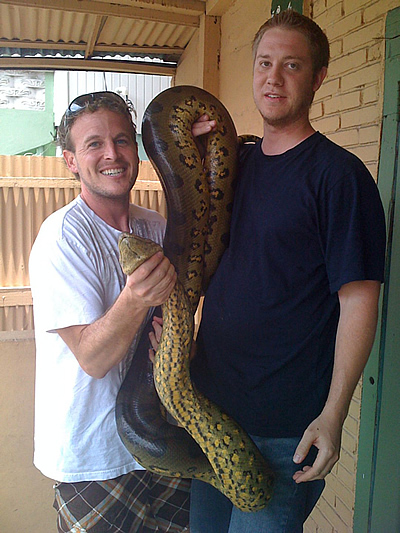 I have an incredible staff, composed of people with that all personally keep and have experience working with all reptiles. We breed and maintain a very nice collection of Ball Pythons and Boas. I have many people around me that produce all sorts of reptiles. All animals sold have to pass my quality test. We have a system that seems to work, and we are constantly trying to improve. 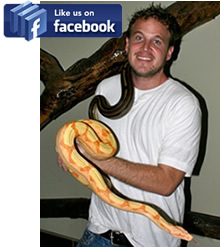 It is my goal to make sure that I put my stamp of approval on the quality of the reptiles we sell. Our goal is to NEVER have an animal come back. We strive to constantly improve on how we handle each sale. We do run a large business with many different customers. My motto is to treat others the way you want to be treated. I would expect for a customer to open a box and be happy with the purchase they made. I have been on the wrong side in buying many times, and it is something you never want to have happen. 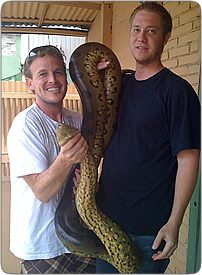 I have been keeping and breeding boas and other reptiles for well over 25 years. I love to read, write, and learn more about the fascinating reptiles I keep. Breeding reptiles has made my interest for keeping them turn into a passion. After finishing College, I had many jobs while maintaining my collection. I have found that working with the animals far beats working with many of the other businesses I have been involved in. 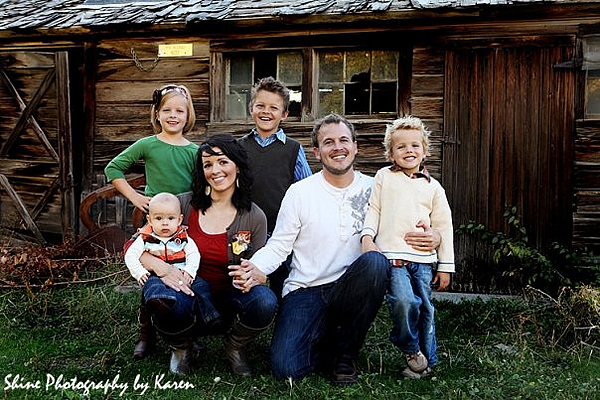 I am a proud father of 4 children. 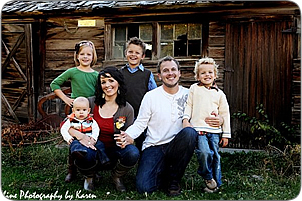 My wife and I had our last child in March of 2009. So, as you can imagine I can be quite busy, but I couldn’t imagine it any different. I believe you’ll have a positive experience in dealing with my staff. Josh Ketchum is the manager of the day to day operations, and it is my goal to maintain the collection to top quality standards. With hard work, there is no better place than to be in a room full of animals that you have grown to love. I hope you enjoy the site. We will keep it updated. If there are any questions, please shoot us an email.